Institutional Memberships provide history organizations of all sizes and shapes with resources, services, learning opportunities, and more. In addition to the many direct benefits of membership, Institutional Members can add all their staff members, board members, and dedicated volunteers to the membership account, giving them access to most benefits of membership. Institutional Memberships dues are determined by the size of an institution’s operating budget. To determine your dues level, consult the table below. Contributing at a higher level unlocks additional membership benefits. Your additional support allows AASLH to continue to grow and better serve our entire membership. Large logo acknowledgment in every issue of History News and Annual Meeting Program. 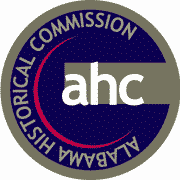 Distinction of being added to History Leadership Institute Advisory Board (normally $5,000), with logo acknowledgment on all HLI materials.